These are a few of the rocks that comprise my “Zen garden”. 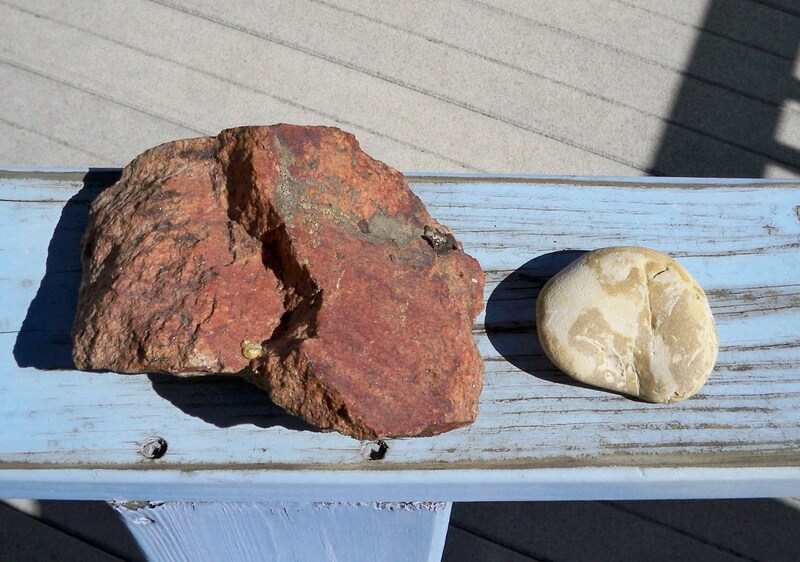 I collect rocks as a momento, pocketing my first rock when I moved to Colorado in 1977 (although my parents would tell you I’ve pocketed them all my life). I hiked my first Boulder trail in Chautauqua Park, huffing and puffing my way up into the foothills to a point high enough that I could oversee the entire town. Surely worth memorializing with a pocket rock. I try to collect a rock from each place I travel in the US and abroad. I have rocks from Lake Superior, Paris, Tucson, Turks & Caicos, and Kranjska Gora. I have rocks my grandchildren have given me, and rocks “my troops” have sent me while they were deployed in Iraq and Afghanistan. I have a rock from the bike ride when my first sighting of a double rainbow stopped me in my tracks; from the first time I made par on a golf hole (yes, there are rocks on golf courses); and from the first time I rode Vail Pass on my bicycle. There is a spot in my living room where I periodically rearrange my rocks, tucking some away and bringing others into the daylight. I stack and balance them carefully and mindfully in cairns. I place them by shapes and designs; by their hues of color; by the feel of their surface; and by the memories they evoke. Thank you, Lainey. I hope you have a joyous week and maybe some time “playing” with your new clay and dolls. I one gave a friend a collection box for her birthday. The goal being to collect one thing from each outing we have together to fill the box. A gave her a rock as an example. A great way to collect memories as well as things of beauty. That is a wonderful idea to share with a friend for keepsakes of your special outings! 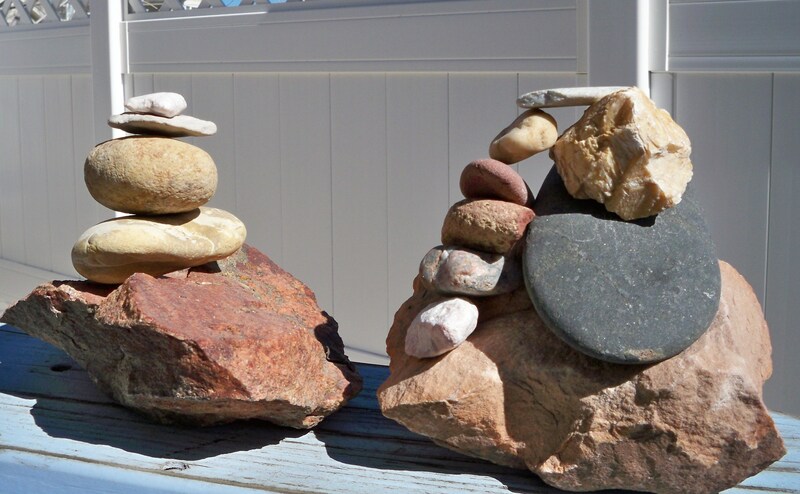 I really admire the people who can balance the rocks like that – I’m no good at all! Do you remember where all of your rocks came from? That’s a fantastic idea for a collection. I don’t remember where most if the rocks came from. I didn’t want to write on them and couldn’t think of another way to label them. I should have taken a picture of each for identification as I collected it. Perhaps I need to repeat each adventure for another rock ! Awesome. Such a refreshing post. Thanks. I love the round one in the first pic. Beautiful. Thanks, Elizabeth – sometimes I put them in the sun then feel their varying temperatures. I do love handling the round ones – very serene. Dad taught me how to “skip” them in the water as a child. Oh my goodness, it is interesting how our lives have so much in common. I too have collected many rocks, and have many stories connected to them. Now my son-in-law brings me rocks. He is a wildlife biologist and spends a lot of time out in the wildernesses and comes across lots. The latest one though he brought from the beach and it sits on my coffee table. 😍 we’ll bring each other one if ever our paths cross in person! Ah, a stone collector! I have a few myself! I only have a couple of rocks because I switched to collecting magnets of all the places I’ve been. Still, I treasure my rocks because they have special memories attached to them to. Now that I think of it, my Uncle – career Air Force pilot – had a steam trunk full of rocks and minerals. I wonder if one of my cousins kept it. I have forgotten which comes from where:-( at least I remember the details of the trips. 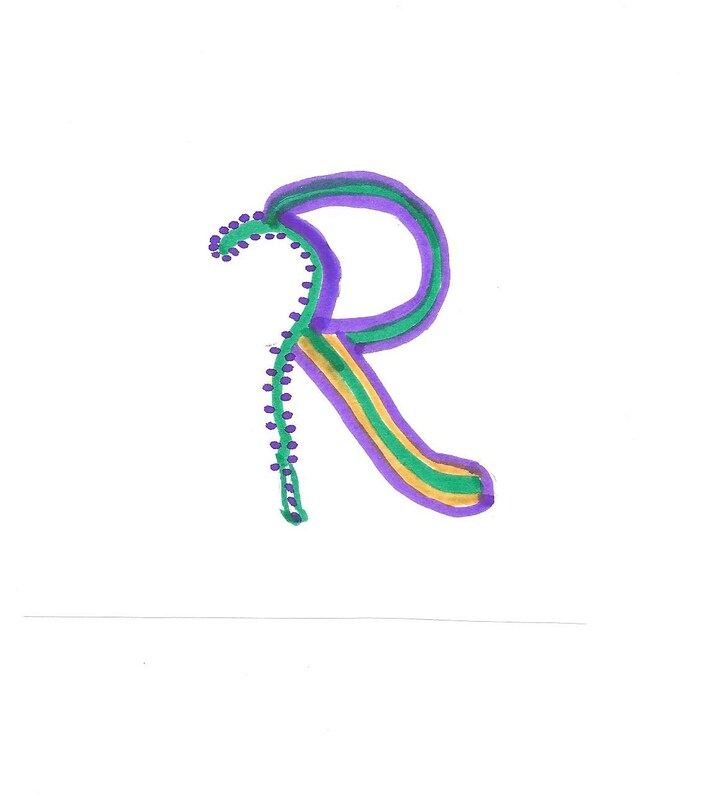 Hi Michelle – thanks for visiting and rocking comment! I have rnjoyed using many larger rocks in my gardens and carting them with us on our moves 🙂 i hope you are enjoying A to Z. 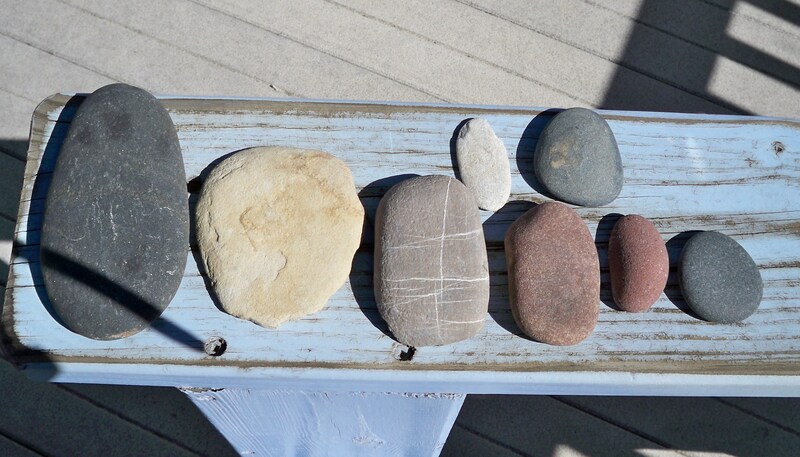 You make rocks interesting–great post and photos. Thanks, Deb. Crazy collections follow us through life, don’t they? :-). I like coming upon them while hiking, too. I never learned how to read them for directions but fortunately Hub knows so I stick close to him. Ha! Some of those rocks are huge! How ever did you get them home? Stacked up liked that they seem to tell a story of their very own. I’m always awed by how short a blip our own lifespan is in contrast to how long it takes a rock to find its shape and finally break down into sand. LOL I wondered if anyone would say, “Hey, those are way too big for pocket rocks!” You win the prize. Guess what it is!?! I have been aware of that same wonder, living here near the mountains. I am the most significant person on earth in my own life, but am barely a speck in the life of the earth itself. Some rocks crumble easily and some are unchanged for eons. Thanks for the philosophical musing! Nice collection! 🙂 I have some too, including some North American Indian painted ones and a good luck volcanic rock from Santorini; also hand painted. You know, when I was writing this piece I realized I did not pick up a rock that day we spent on Santorini, and that’s a bummer! But I will never forget what it felt like to bask in the sunshine overlooking that sparkling blue sea! Wonderful! I used to collect pebbles from the beach and once made a photo frame out of them, but the frame was so heavy that it kept falling over. Yet another attempt of mine to be creative – and yet again it failed miserably 🙂 Your rocks do look fabulous though. LOL that sounds like me and crafts! Thank you for visiting, Sue, and for the “rock love”. There have been a coulpe hikes where the backpack got quite heavy 🙂 now I’m more discerning as well!